​Liverpool manager Jurgen Klopp has described the Reds as a 'proper force' as they look to return to the top of the Premier League on Friday night and end this season with a first English crown since 1990, finally ending an infamous 29-year drought. Having been pushed back into second as a result of Manchester City's win over Cardiff on Wednesday night, a victory for Liverpool over Southampton will restore a two-point lead and put the pressure back on the reigning champions, who are in FA Cup action this weekend. "We have a really good team together, as a club. It's a proper force, we have a lot of power in and around the club," Klopp is quoted as saying by Sky Sports. "Take all the dreams together and that can be a real high energy, or create a proper energy going forward. It took a while obviously until everybody thought it, but it's obvious." At the very least, Liverpool will finish second this season, matching their achievements in 2013/14, 2008/09 and 2001/02. It will also be another improvement under Klopp after finishing as low as eighth in his debut year, followed by fourth place in each of the last two. Liverpool haven't had that kind of consistency in the top four for a decade, since 2009. 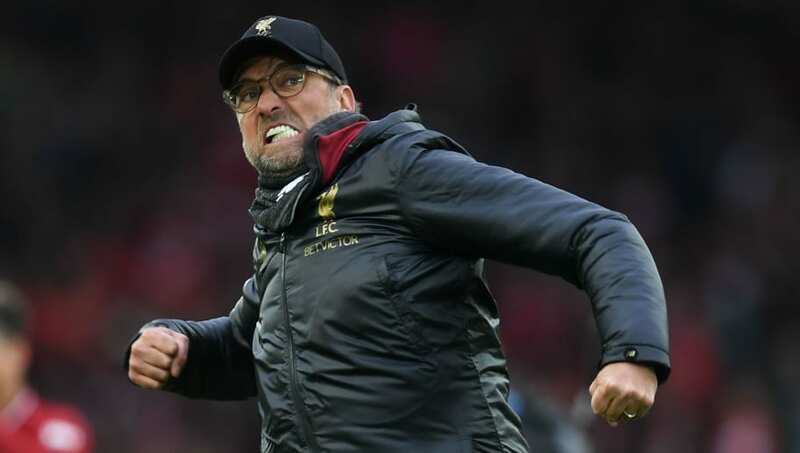 "We will probably qualify for the third time in a row for the Champions League, it's been a while since that happened, we are fighting for the top spot in the league and we are in the quarter-finals of the Champions League, it's obvious," Klopp said. Liverpool are also aiming to reach the Champions League final for the second season in a row, potentially even going one better than last year. The Reds meet Porto at Anfield in the first leg of the quarter final on Tuesday night, with either Manchester United or Barcelona awaiting in the last four if Liverpool are successful.